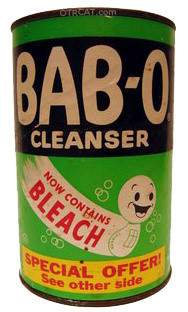 "Vernon Tries to Convince Nona of His Love"
A true Soap Opera, Nona from Nowhere is sponsored by Bab-O cleanser! The show only lasted a couple of seasons, but is indicative of the classic 1950s soap opera with murder, drama, and organ rifts. The show also includes Nona's though bubbles, usually while talking to the dreamy Vernon. Nona Dutwell is an actress and an adopted daughter who cares for her foster father, Pat Brady. A different plot device in the soap opera genre, Nona tries to find her birth parents. Poor Nona also has trouble making her way as an actress in Hollywood with Big Screen Divas and producers. The writing is a little different, as Nona's father is being accused of murder, Nona speaks about her new flowers in her garden. Nona from Nowhere stars Toni Darnay (from As the World Turns and Just Plain Bill) as Nona; Ford Bond is the announcer. This collection is also part of the Rare Soap Operas Collection. Be the first to comment on "Nona from Nowhere"